Bell E-series ADTs will give your business the competitive edge you need. 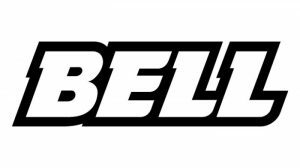 Founded in 1954 as a family-run engineering and machinery repair shop, Bell Equipment has grown into a world leader in the off-highway truck and hauler business and is recognized globally as an Articulated Dump Truck (ADT) specialist. The Bell Articulated Dump Truck was born and bred in the unforgiving African mining environment where high temperatures at altitude and arduous terrain present arguably some of the toughest jobsites on earth. Such challenging jobsites have dictated Bell Trucks to be designed to perform on the hardest of hauls. From the wet and muddy underfoot conditions of the United Kingdom to freezing blizzards in Canada, Bell Articulated Dump Trucks have what it takes to thrive in extreme conditions. The Bell ADT range has been engineered to meet a need for a super tough truck able to withstand appallingly bad roads and cope with off-road conditions, the Bell ADT range is not only the most extensive on the world market but also the most cost effective. The pursuit of high performance has led to partnerships with world leaders in motion technology; seeking out the best in engine and drivetrain technology is key to maintaining the competitive edge of the Bell Truck range. Whatever the industry, Bell machinery is built to endure in harsh conditions while providing an exceptional return. As a global leader in Articulated Dump Trucks, Bell Equipment brings you the world class E-series range. The evolutionary E-series is packed with class-leading features that deliver production boosting payloads, lower daily operating costs, superior ride quality and uncompromising safety standards. Need service on your Bell Equipment? Wajax offers Bell Equipment service at many of its Canadian locations. See the full range of Wajax maintenance services for more information. Wajax offers an extensive selection of Bell Equipment for sale across Canada. Contact your nearest Wajax branch today to order.